If you’re in or around Plano, you might want to mark your calendar for this upcoming event! The Shops At Willow Bend is opening Plano Playground. Plano playground will be the mall’s new 1,960 square foot playground! On November 7th, there will be music, a visit from Santa and Mrs. Claus, and ribbon cutting. The first 300 children will receive goodie bags, too. No matter the weather, it’s a great day to play at the park – that is, the new children’s play park opening November 7 inside The Shops at Willow Bend. With a nod to Plano and its historic Haggard Park, the mall’s new 1,960-square-foot Plano Playground will welcome little ones with a gazebo. Once inside, they’ll enjoy climbing on the soft, one-of-a-kind play pieces including a water fountain, slide, sandbox, teeter totter, fire truck, ambulance and merry-go-round, all constructed of hand-sculpted, kid-friendly foam. Kids can rock and ride the mascots of local high schools — Plano East, Plano West and Plano Senior High. A hot air balloon lights the play action from above. 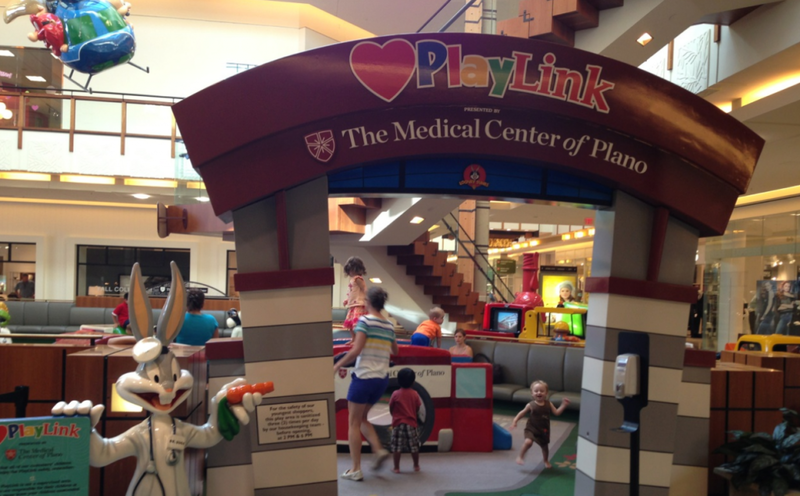 Plano Playground is a gift to mall visitors from The Medical Center of Plano. Along with an interactive game wall that looks like the hospital, a scavenger hunt in the play area will feature hidden hospital icons for children to find, evoking the popular Highlights magazine often found in doctors’ offices. The multi-sensory play area includes sound-chip technology, adding surprise and delight to complete the experience. – The first 300 children will receive a goody bag filled with offers from the mall’s retailers. In order to install the new play area, The Shops at Willow Bend will close its existing play area on Thursday, October 23. The Shops at Willow Bend is located at the northwest corner of the Dallas North Tollway and West Park Boulevard and features more than 150 stores, restaurants and services plus four anchors: Neiman Marcus, Macy’s, Dillard’s and Crate&Barrel.